A fire pit is one home feature that outdoor enthusiasts love! 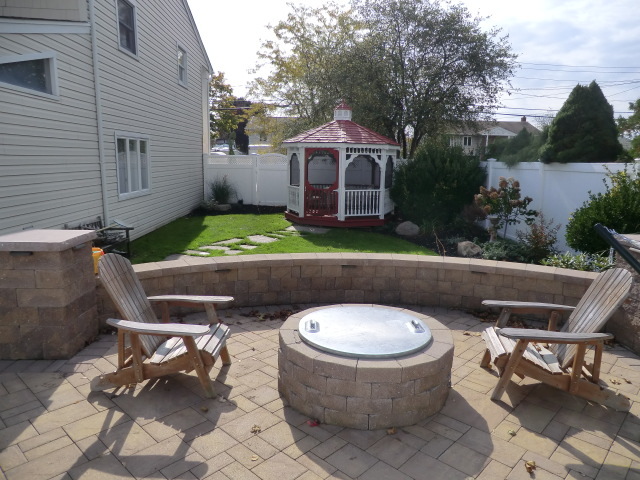 Most people will be overjoyed when they see and experience sitting beside a fire pit in their Long Island homes. With an outdoor fire pit, you will have the utmost comfort and enjoyment, especially during cold weather and seasons of the year. You can even do some of your cooking on the open fire, like meat, fish, vegetables and hotdogs, all at just an arms length away...and don't forget the smores! Having an outdoor fire pit is a great unique addition to your outdoor living space. However, it's not an easy project to design and build yourself. Of course, someone skilled, trained and licensed should do it for you. Look for an outdoor fire pit expert who will build you a fire pit to your exact specifications. This is very important, as an outdoor fire pit should be designed and built with all the safety and security considerations, since fires can be dangerous. Outdoor fire pit experts know the right materials, designs and dimensions which will best fit your outdoor living space. 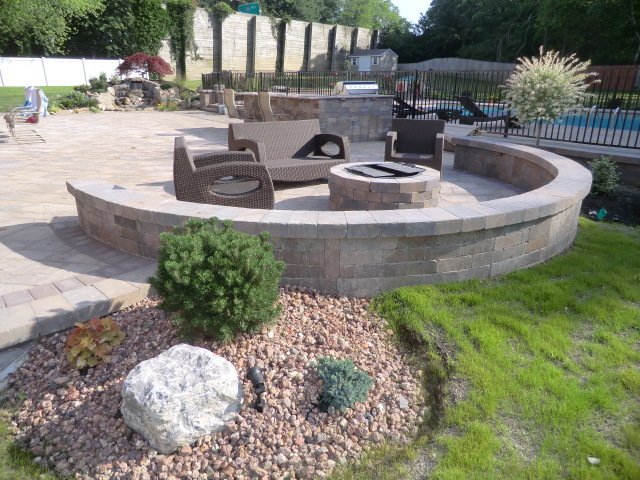 With the right outdoor fire pit, you will add unique design and functionality to your home. Experience an ultimate relaxing gathering with your family and friends around the best outdoor fire pit designed and built by Great Outdoors Designs. We will provide you an affordable and unique finished project that you and your family will enjoy for years to come! Designing and building an outdoor fireplace entails a lot of complexities. 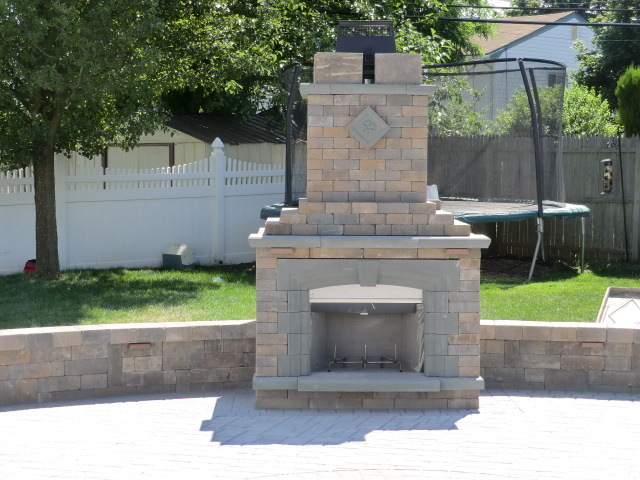 Since only a few people have the knowledge and skills to design and produce such a structure, Long Island homeowners will typically prefer hiring an outdoor fireplace contractor for a safer and more secure finished project. 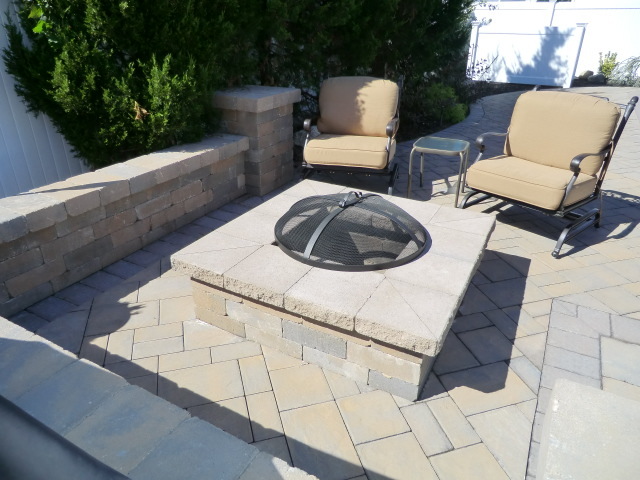 Outdoor fireplace contractors are able to design the proper features in an affordable way and in a timely manner. Building it requires a professional outdoor fireplace expert who can provide you with various choices of materials, designs and custom options. These licensed and experienced professionals can bring your desired designs to life with their innovative direction and execution. 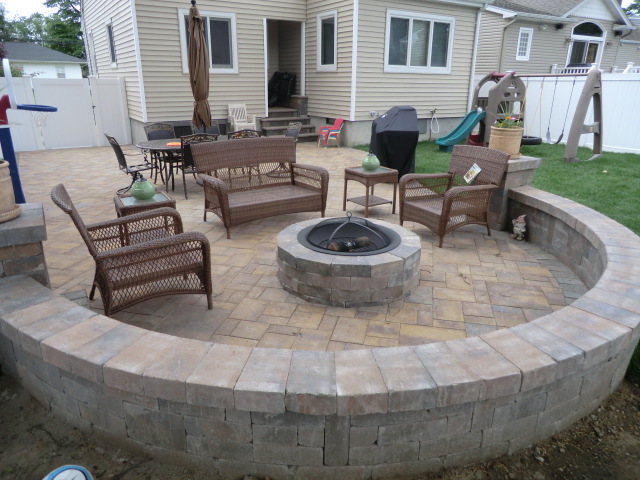 Hire the best Long Island outdoor fireplace experts for your home by calling Great Outdoors Designs today. We will deliver a finished project like none other which will give you and your family a lifetime of enjoyment and memories!